Colliton goes from Chicago's American Hockey League affiliate in Rockford, Illinois, to becoming the NHL's youngest head coach at 33. Blackhawks forward Chris Kunitz, defenceman Duncan Keith and goaltenders Corey Crawford and Cam Ward are older than Colliton, and defenceman Brent Seabrook also is 33. "He's a good friend, good coach, three Cups. He's going to go in the Hockey Hall of Fame," Babcock said Tuesday in Toronto. "I don't know what else you say about him. If he wants to work, he works." "It was pretty shocking this morning, actually. That's two (NHL coach firings) in (three) days," Vegas coach Gerard Gallant said before the Golden Knights faced the Maple Leafs on Tuesday. 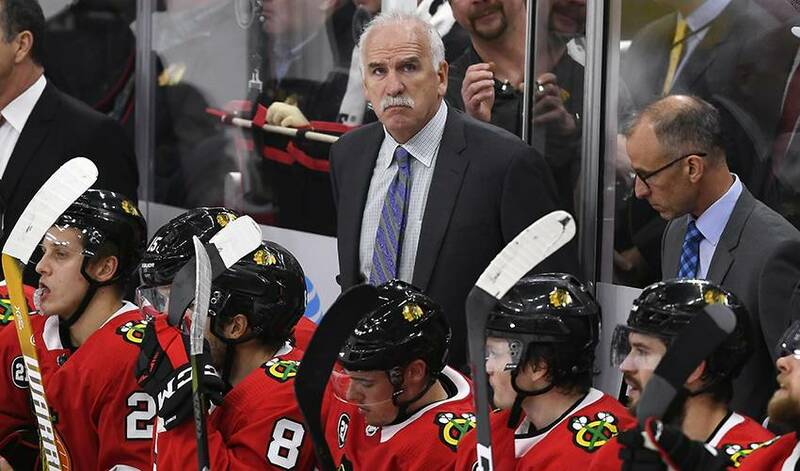 "Joel Quenneville's at the top of the coaching pedigree. It's too bad. It's a part of our business and we all understand that, but it's real tough." The former NHL defenceman has 890 wins in 22 years as a head coach with St. Louis, Colorado and Chicago. Scotty Bowman, Stan's father and a senior adviser with the Blackhawks, is the only man with more regular-season victories. After getting off to a 6-2-2 start this year, Chicago's play deteriorated. The power play, a persistent problem, ranked 27th in the NHL heading into Tuesday. The Blackhawks also are allowing an unseemly 3.73 goals per game.